Sore tongue could appear as a swollen or inflamed bump or lump in your tongue. It could leave your tongue tender as well as leave you in pain and discomfort. Common causes of sore tongue include; food sensitivity or allergy, mouth ulcers, accidentally biting your tongue, or trauma to the tongue caused especially when brushing or using a toothpick. Other causes of sore tongue include; a weak immune system, bacterial or viral infection, hormonal changes, stress, nutritional deficiencies, intestinal or stomach disorders, as well as eating foods that are too spicy or too salty. Use mouthwash to rinse your mouth, from time to time, in order to prevent mouth and tongue infections. You could take vitamin and mineral supplements, especially vitamin B12 supplements, to help inhibit the soreness. Know foods that trigger your sore tongue and avoid them. Stress could trigger a sore tongue. As such, practice relaxation techniques, such as deep breathing, yoga, and meditation, to keep stress at bay. Ensure to brush your tongue while brushing your teeth. You could also use a tongue scraper to help clean your teeth. Quit the bad habit of smoking cigarettes as it could trigger sore tongue. You could place some ice cubes on the sore area to get instant relief. Avoid toothpastes that contain a compound called “sodium lauryl sulfate” as this compound promotes canker sores by causing microscopic damage to oral tissues. Use a soft-bristle toothbrush to brush your teeth and tongue. You could also take sips of cold water, from time to time, to get relief. Salt is a great anti-inflammatory agent that may help in relieving a sore tongue. Its antiseptic nature prevents an infection and improves the condition in a natural way. For this remedy, fill a cup with warm water and add a teaspoon of salt to it. Let it dissolve completely and rinse your mouth using it several times in a day. Salt can also be applied directly on the sore to heal it. Aloe vera helps in healing a sore tongue quite quickly. Aloe vera has anti-inflammatory properties which reduce pain and swelling on the tongue. Simply take out some gel from a fresh leaf of aloe vera and apply it over the sore area. Reapply several times in a day. Another way to use aloe vera is to rinse your mouth using its juice. Do this 3-4 times in a day. Baking soda soothes a sore tongue by reducing inflammation in a natural way. Baking soda is also helpful in reducing pain and the acidity of the mouth. All you need is some baking soda mixed with a little water to form a paste. Then, apply the paste, with the help of your fingers, on the sore areas present on your tongue. Wait for a minute and wash it off using warm water. Alternatively, make a mouth rinse by mixing a teaspoon of baking soda to a glass of warm water. Rinse your mouth using this baking soda solution about 3-4 times in a day for effective results. Honey has a soothing action on the sores which relieves pain and discomfort in an incredible way. Honey has anti-inflammatory properties which help in healing the affected area fast. Apply it directly to the sore area several times in a day. A paste of honey and powdered turmeric is known to be more effective in treating a sore tongue. Ginger, being a potent anti-inflammatory agent, may help greatly in reducing a sore tongue. It relieves pain and swelling while preventing an infection due to its powerful antibacterial nature. For this remedy, prepare a ginger tea by boiling a few slices of fresh ginger root in water for some minutes. Strain it and drink it slowly to get rid of the condition. Ripe papaya has healing compounds, such as papain, that are beneficial for dealing with a sore tongue. Papaya inhibits harmful free radicals and prevents further damage to the tongue. It also reduces the acidity of the mouth, thus, soothing the mouth in a natural way. Add it to your diet on a regular basis to relieve pain and swelling associated with a sore tongue. The powerful antiseptic effect of hydrogen peroxide is highly useful in treating a sore tongue. Hydrogen peroxide kills bacteria that can cause infections. Dilute 3 percent hydrogen peroxide with equal parts of water and apply it to the affected areas of the tongue. Let it stay for a few minutes and wash your mouth using plain water thereafter. Repeat it several times in a day to relieve the condition. Sage is a potent herb to reduce pain and discomfort in an easy and effective way. Its astringent action on the tongue helps in calming the irritation and promotes healing. Take a handful of sage leaves and boil it for 2 minutes in 3-4 cups of water. Simmer it for 5 more minutes. Then, strain the solution and mix some drops of myrrh tincture. Stir well and let the solution cool. Rinse your mouth, using the solution, several times in a day. Alternatively, you may also apply sage leaf powder on the sore area a few times every day. Alum helps in absorbing moisture from the sore tongue, thus, relieving inflammation and pain in a natural way. It also has antiseptic properties which prevent an infection. Take a little amount of powdered alum and dab it on the sore area. Let it stay for a minute before spitting it out along with your saliva. Wash your mouth thoroughly with water. Do it once every day for effective results. Avoid swallowing the alum. Peepal leaves have healing properties that help in treating a sore tongue. You may crush some fresh peepal leaves and apply it to the affected area. Alternatively, make a tea by boiling some peepal leaves in water for 5 minutes. Strain it and add a little honey. Let it Cool and drink the solution for relieving pain and discomfort. Licorice can soothe the irritation caused by a sore tongue effectively. It has anti-inflammatory properties that aid in relieving swelling as well as pain. 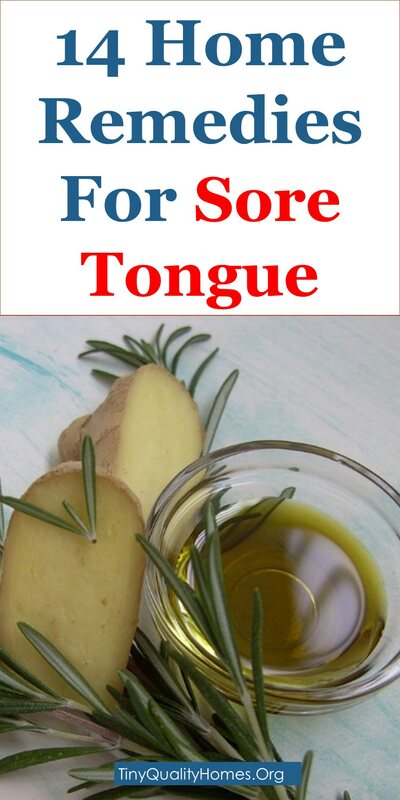 Mix licorice powder with water and apply it on the sore areas of your tongue. Let it stay for some minutes and wash it away with warm water. Turmeric, which contains the potent curcumin, has an anti-inflammatory and antimicrobial action which helps in dealing with a sore tongue in an incredible way. When mixed with warm milk, it promotes faster healing. To prepare this remedy, take warm milk and add a pinch of powdered turmeric to it. Make sure the milk is not too hot, or it may cause harm. Mix the ingredients well and drink it two times a day for visible results. The presence of the compound, capsaicin, in cayenne pepper helps in numbing the area and reducing pain to a great extent. Cayenne pepper is also helpful in reducing inflammation. Mix powdered cayenne pepper with water to form a paste and apply it on the sore area. It may irritate at the beginning but would work well in alleviating the pain. 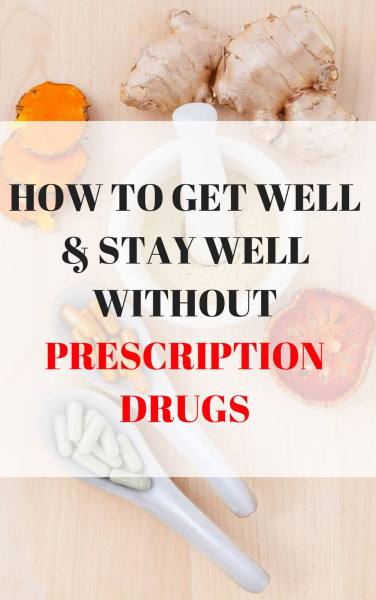 Repeat the remedy twice or thrice every day. Lavender essential oil is extensively used in numerous home remedies due to its soothing and healing properties. Lavender essential oil also helps in combating inflammation, thereby, alleviating a sore tongue. For this remedy, pour warm water into a cup and add a little amount of the lavender oil in it. Mix well and use it as a mouth rinse. Do this several times in a day, as needed, to relieve the discomfort. For a more effective action, mix some drops of the oil to a quarter cup of hot water. Also, add a teaspoonful of honey and mix well. Then, add half a glass of cold water and wash your mouth using it. Avoid swallowing the lavender essential oil.